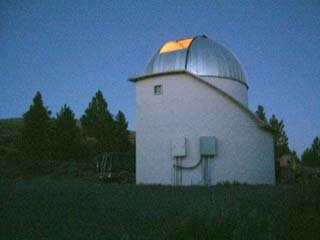 From 1969 to 1972 direct observations of Apollo spacecraft were conducted from Pine Mountain Observatory in the high desert of Central Oregon. 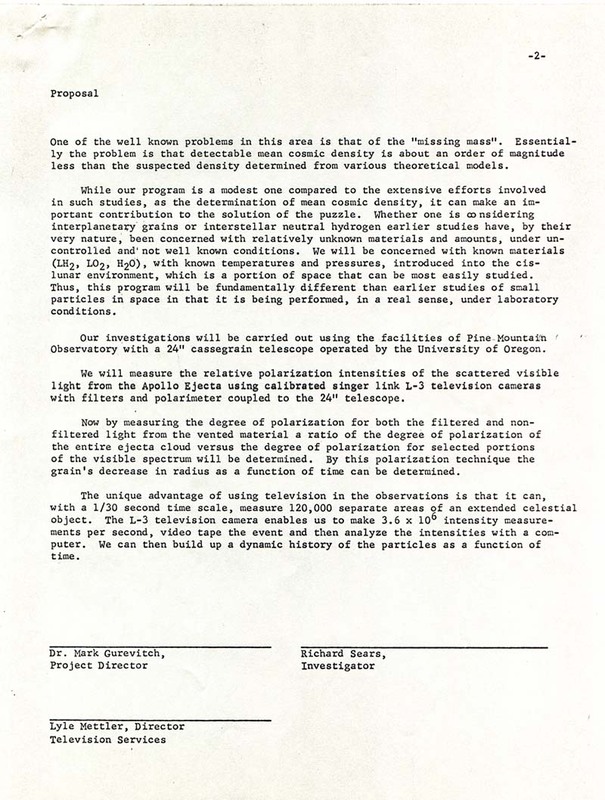 This site collects artifacts from this pioneering work. 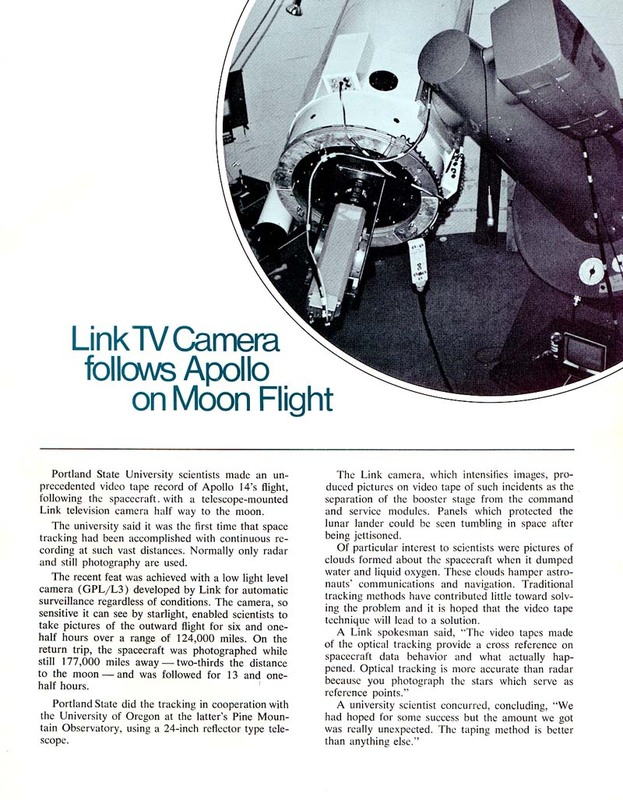 Overview article from Singer's ConnectingLink, v8 n1, Spring 1971. 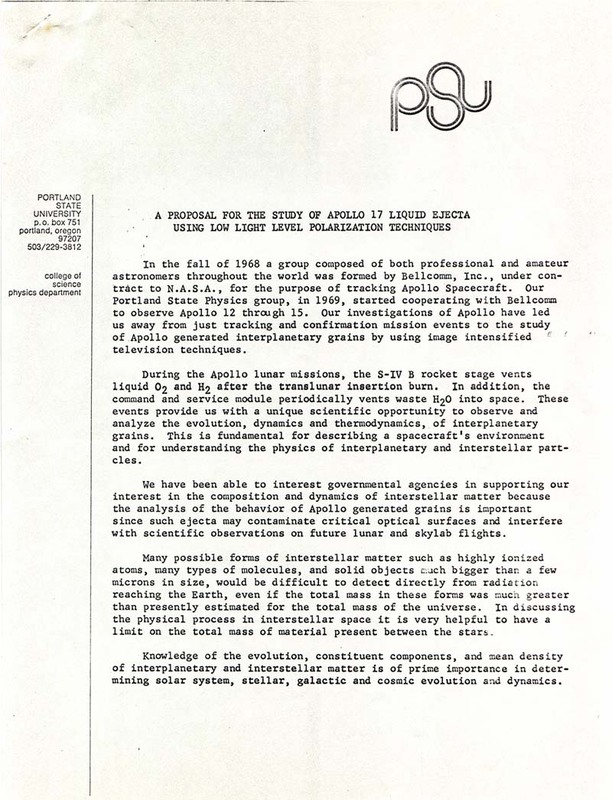 Research proposal (page one, two) with historical overview. 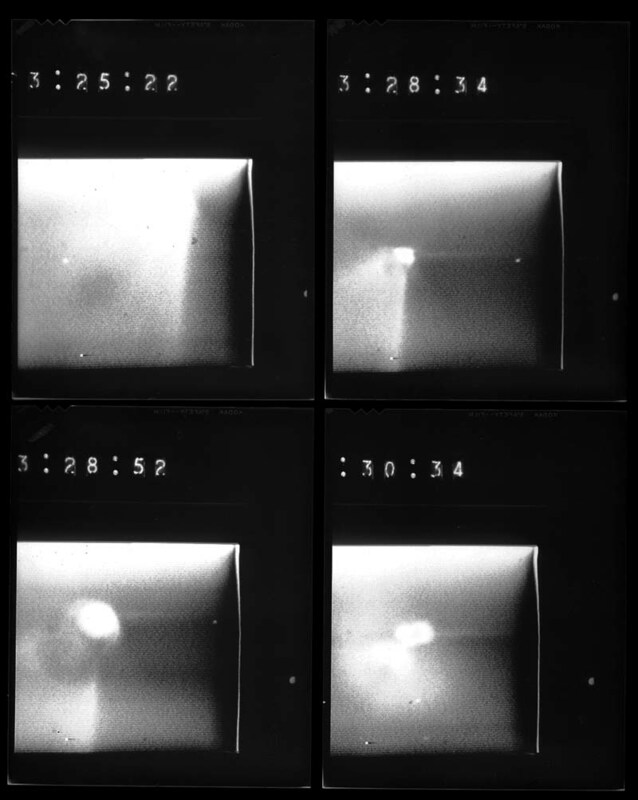 Video playback photographs showing Apollo 14 lox dumps. 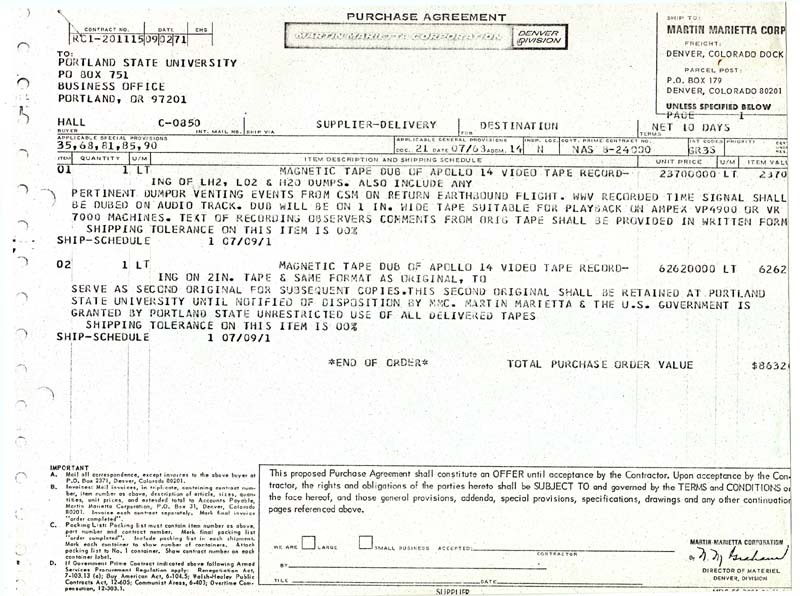 Purchase order for dub of Apollo 14 video tape record. We regret that time allows us only this small sampling of the hundreds of pages of historic material in our collection. site copyright © Richard Sears, all rights reserved.